Finally, we get some much needed change of scenery now that a few dramas have ended. The Story of Zhengyang Gate reached a new high of 1.702% on its last couple days. It is succeeded by The Family on Beijing TV and Forty Years We Walked on Jiangsu TV. 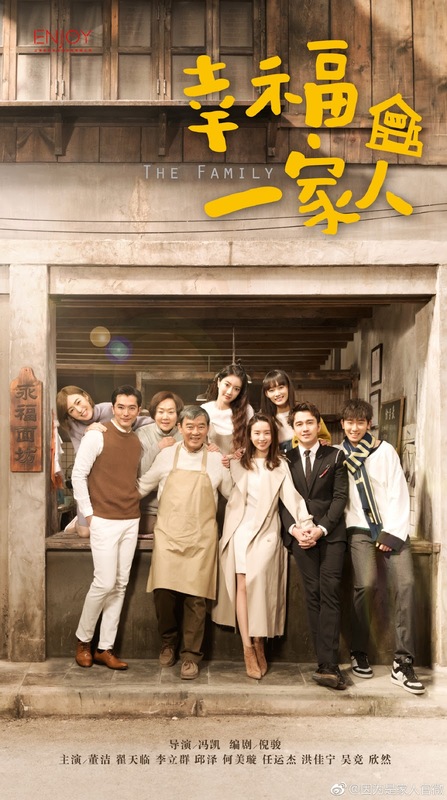 Family dramas seem to sit well with the primetime viewing audience as The Family starring Dong Jie, Zhai Tianlin and Roy Chiu breaks 1% upon premiere. I'd be curious to see if it keeps up the pace when Our Glamorous Time joins in. 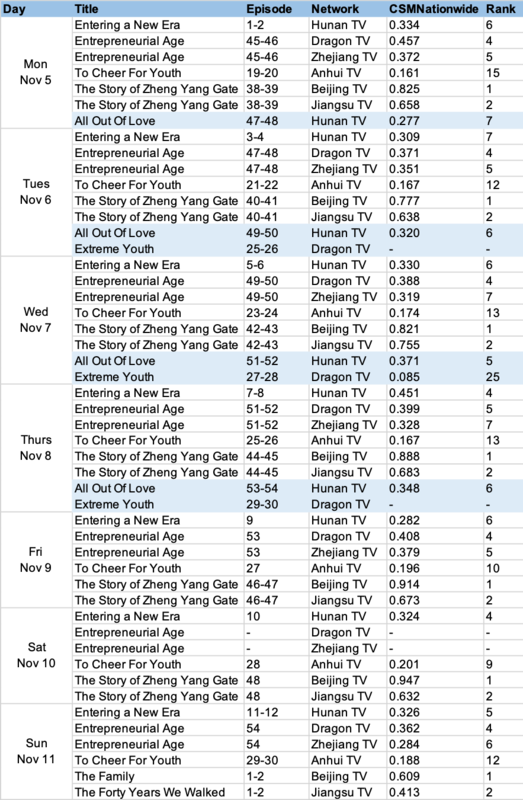 Entrepreneurial Age finale numbers came in weak with CSM52 ratings of 0.565% and 0.377% on Dragon TV and Zhejiang TV. Nevertheless, the show did great online, ranking in first along with Huang Xuan and Angelababy who are the top 3 celebs for the week. It had already hit 5 billion views a few days before the finale. Entering a New Era replaced The Years You Were Late on Hunan TV. 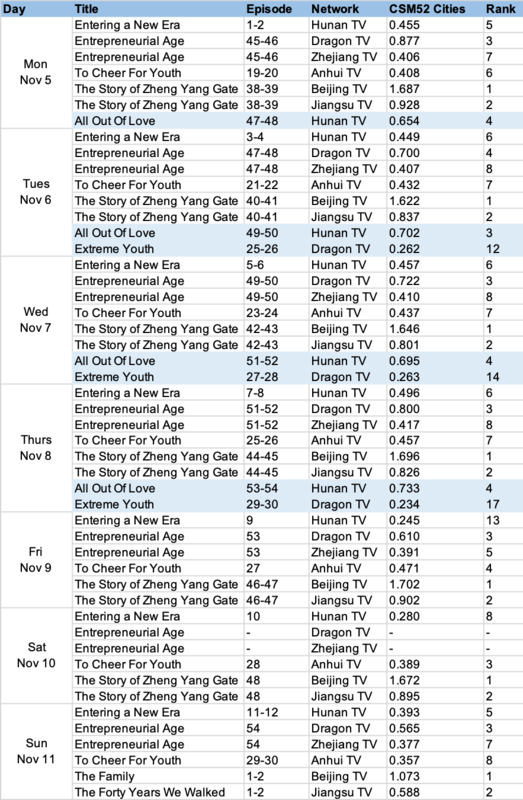 However, the show has failed to keep the top spot, falling below top 5 on several days.